In the year 2016, there were 5,376 total overdose deaths for teens and young adults aged 15 to 24 years old. A major cause for these deaths is the use of opioids, which accounted for 75% of these deaths. From the year 2002 to 2016, there has been a steady increase in the number of drug overdoses. This statistic could be you! If you are interested in holding an event, check out this site (https://teens.drugabuse.gov/national-drug-alcohol-facts-week/plan-your-event) for 5 easy steps on how to plan it! All you need is an adult, a location, and registration for your event. 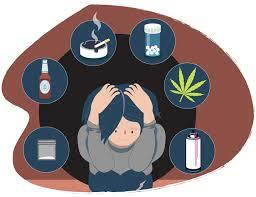 Thousands of teenagers and young adults die from drug overdoses annually. Among the 5,376 who died in 2016, 3151 of those deaths were from heroin and other illegal opioids, 1146 from prescription drugs, 757 from cocaine use, and 102 from alcohol abuse. There are numerous ways alcohol can affect your body. Continuously drinking can lead to poor decision making, memory loss, impulsive actions, loss of balance, blurred vision, slurred speech, and suppressed reflexes. Heroin is a type of opioid. Nearly 80% of people who use heroin report having misused prescription opioids on their first try. 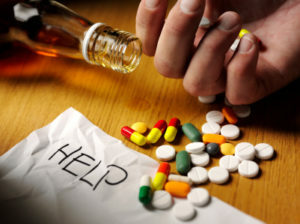 Heroin and pill use can lead to addiction and overdose. Heroin can cause a dry mouth, warm flushing skin, a heavy feeling in the arms and legs, severe itching and more. It can also cause permanent damage to major organs. Prescription drugs are administered taking into account an individual’s personal information, which could overload another person’s system and put them at risk for dangerous drug interactions that include seizures, comas, or death. Cocaine can affect your body by spiking up your body temperature, making you feel sick or restless, and by decreasing appetite. It can also lead to physical problems, such as nosebleeds, constant runny noses, reduced blood flow in the intestines, and the risk of diseases transmitted by blood contact. E-cigarette use isn’t much better than cigarette use. Yes, they may be less harmful than cigarettes, but this is only for those who stop smoking regularly. The vapor found in e-cigarettes contains cancer-causing and toxic chemicals. E-cigarettes also serve as a “gateway” for youth to try other tobacco products. In addition, you have the ability to confide in your doctor without telling your parents or law enforcement, unless your doctor believes that you are in danger of hurting yourself or others. Remember to alway s use what is prescribed and to seek help when needed.